Back by popular demand, we will once again be showing our sun-soaked coastal Cushing, located on a dramatic bluff in Cape Elizabeth, Maine. 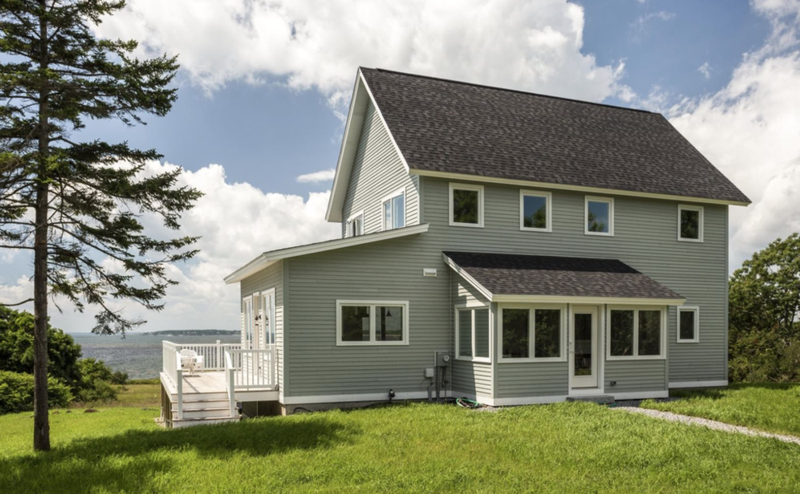 The home features 3 bedrooms, including an ensuite Master bedroom on the ground floor, an open living-dining-kitchen area with 9'-0" ceilings, a bonus space on the 2nd floor for yoga and other peaceful pursuits, and a walk-out basement... and of course, the views! We hope you can join us, to see the flexibility of the Cushing design and to discuss the possibilities of building your own BrightBuilt Home. Please RSVP for additional information and directions!